Cake Cubes are larger-sized one-layer Minnies baked in square polka-dot boxes. Like Minnies, they’re topped with creamy buttercream dollops and delicious toppings. Cake Cubes are perfect for whenever you want a bigger piece of cake. They’re also the ideal treat for almost any kind of party. 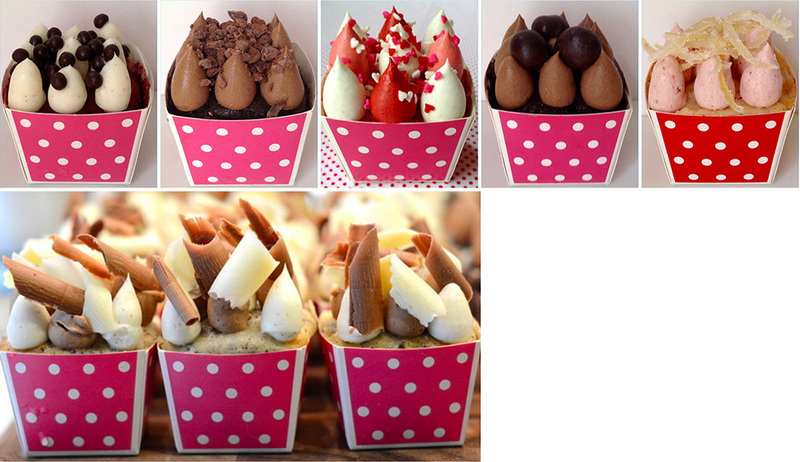 We offer Cake Cubes in all of the same flavors as our Minnies. And, of course, they’re also available gluten-free. And, if you’re in the mood for a large cake-cocktail, you can order Drunken Cake Cubes in the same combinations as our Drunken Minnies.